SolarCity is making it possible for homes to run on solar power 24/7. SolarCity, the company recently acquired by Elon Musk’s Tesla Motors, has just announced what’s next in the pipeline—a roof made entirely of solar panels. The announcement of their new “solar roof” was revealed by SolarCity chairman, Elon Musk, who says the they will not only look better but also last longer than current, traditional roofs. This would be a sleeker alternative to existing solar modules that are typically retrofitted on existing roofs. Instead of being simply an add-on, SolarCity’s plan is to use panels as the actual roof. This will allow them to tap into a whole new segment of the market–from new home builders to those seeking to completely re-roof their homes. The solar roof concept will be integrated with Tesla’s backup battery packs, thus allowing a home to run solely on solar power round the clock. It also illustrates Musk’s vision of making solar power more accessible and applicable to regular households, which he cited as the main reason why he was pushing for the merger between both companies. This kind of product shows the kind of seamless integration between both companies, which creates a product that actually answers a need for a huge segment of the market. The solar roofs can also potentially reverse SolarCity’s declining panel installations by reaching a new segment of the market—those who need to completely replace the roof of their homes. “There is a huge market segment that is currently inaccessible to SolarCity,” Musk said. The company acknowledges that there are over 5 million roof replacements in the US alone every year. 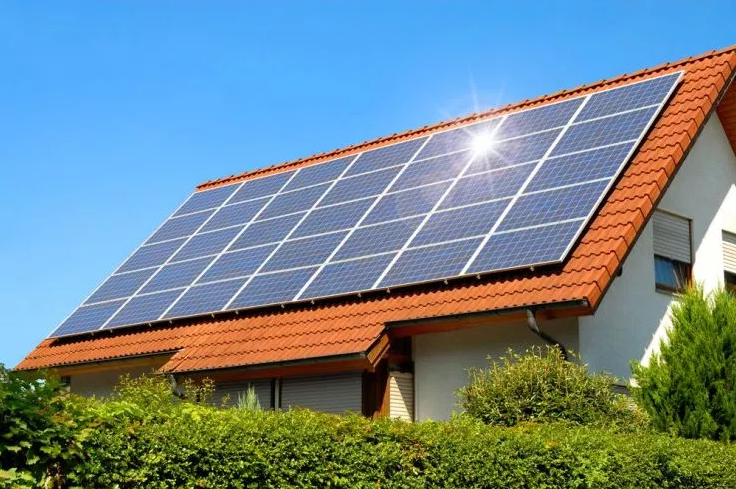 The product is expected to be introduced in the coming months, simultaneously with other products specifically designed for residential solar and storage.